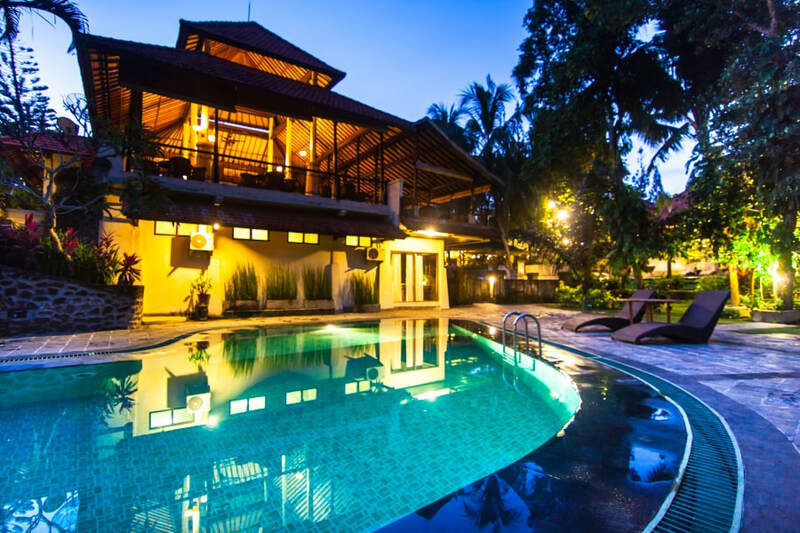 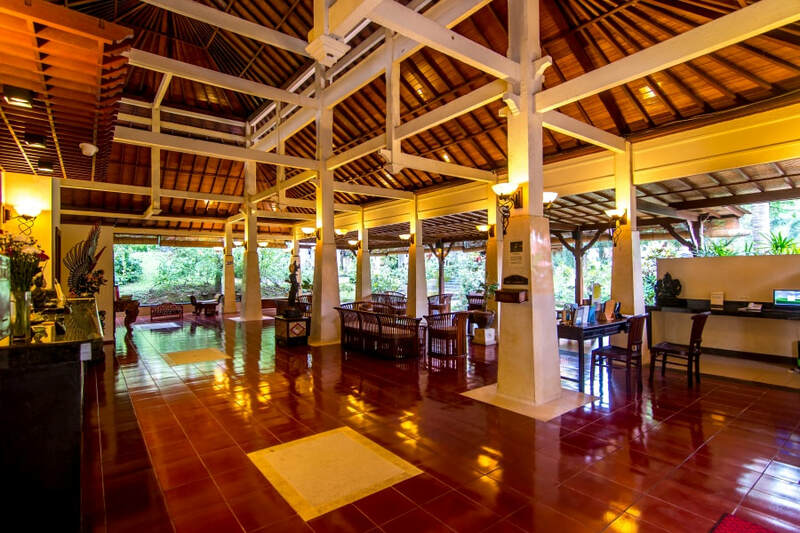 ​that recreates the ambiance of a traditional Balinese village.Click here to get unbeatable price for this hotel. 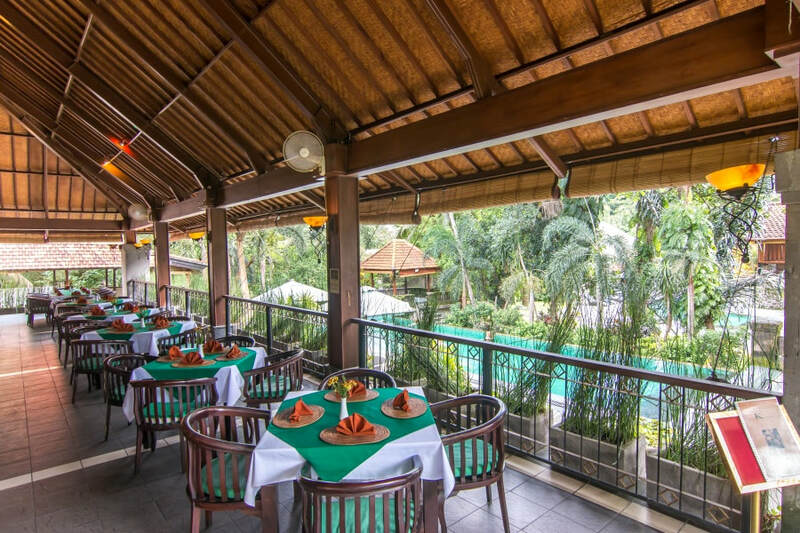 ​The Standard Room anticipates the needs of today's traveller with a classic decor, timber furnishings and a private terrace. 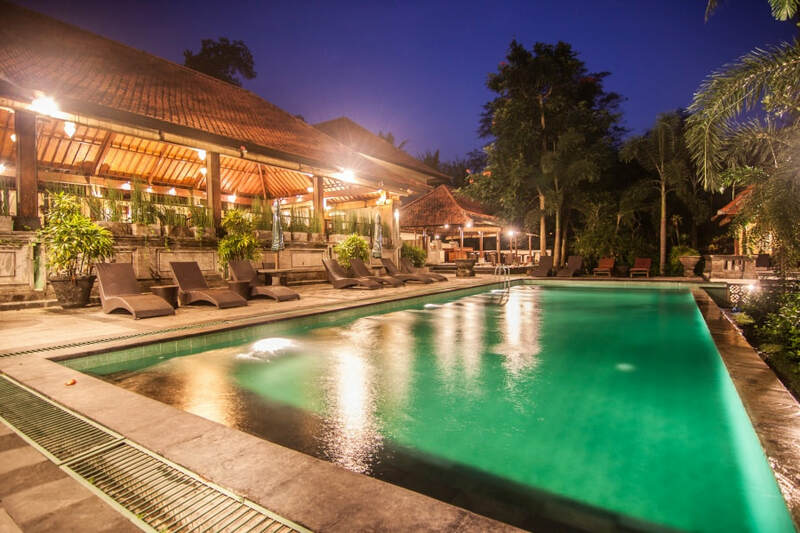 Modern conveniences ensure that each stay is a relaxing experience. 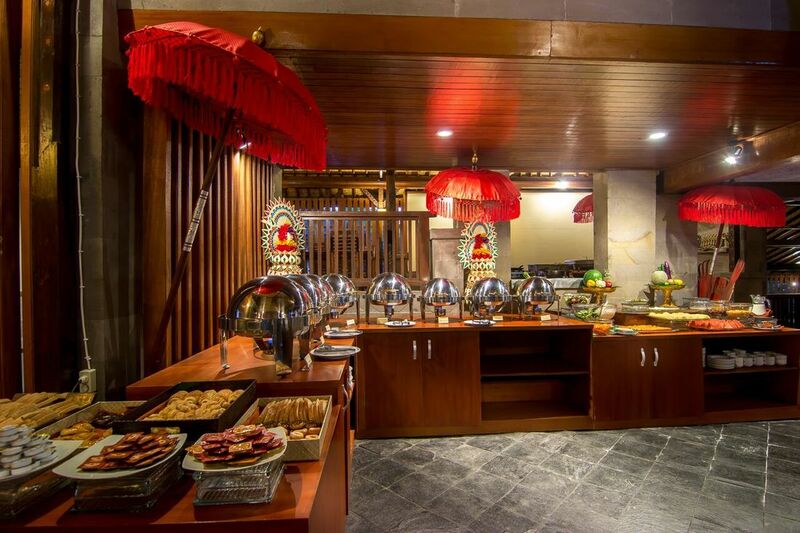 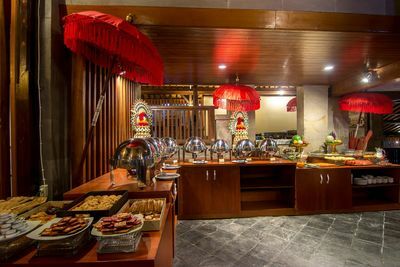 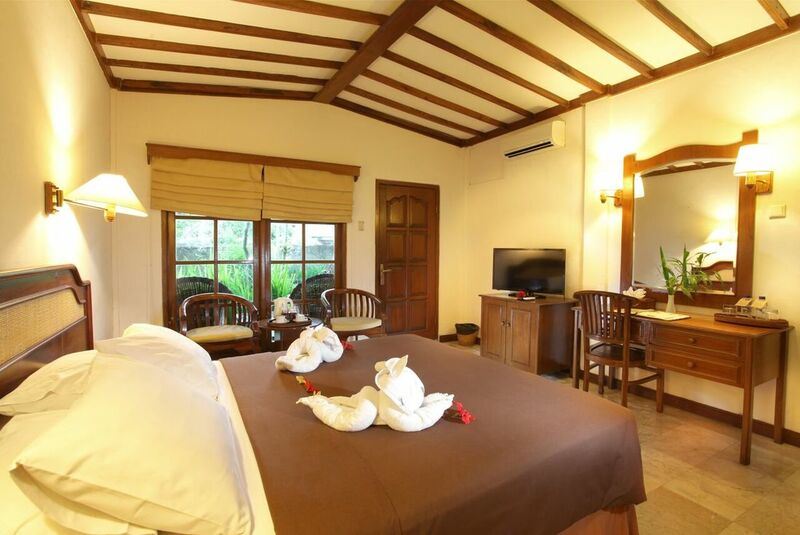 This room category is an exceptionally comfortable base for leisure guests during their time on the island of Bali. 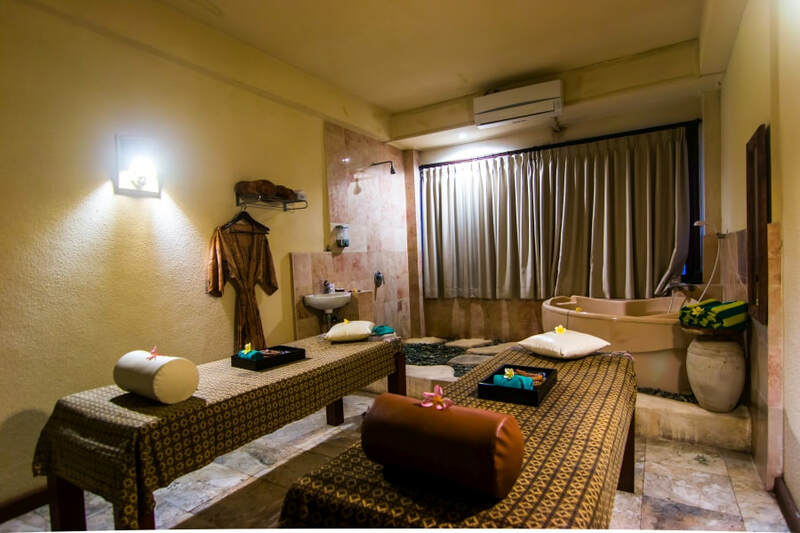 ​The Superior Room is all about taking the time to unwind following days spent exploring the sights and sounds of Bali. It is a charming space with all necessary comforts and conveniences designed to enhance a short term stay on the island. 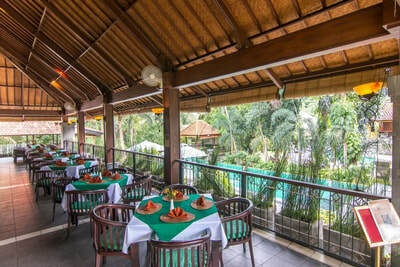 Each room has its own balcony or terrace with refreshing garden views. ​The tastefully appointed Deluxe Room has been designed with personal comfort in mind with its canopied bed and decorative Balinese touches. 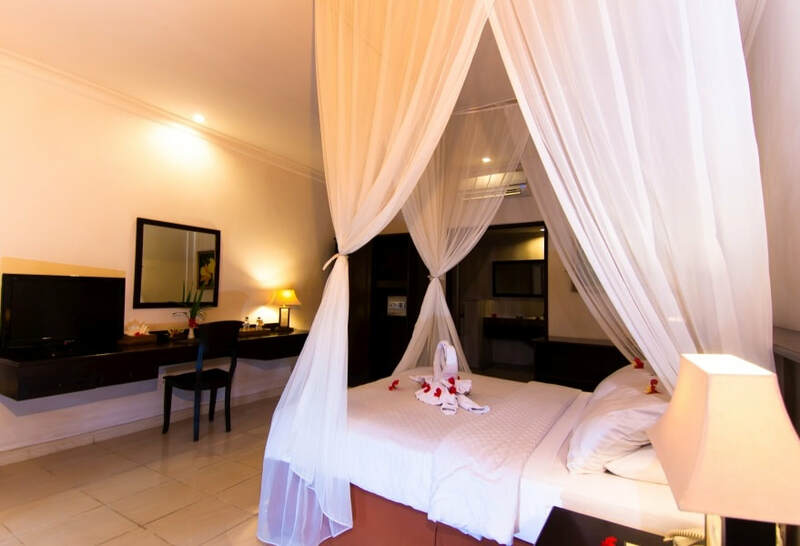 The spacious en-suite bathroom features a separate bathtub and shower recess. 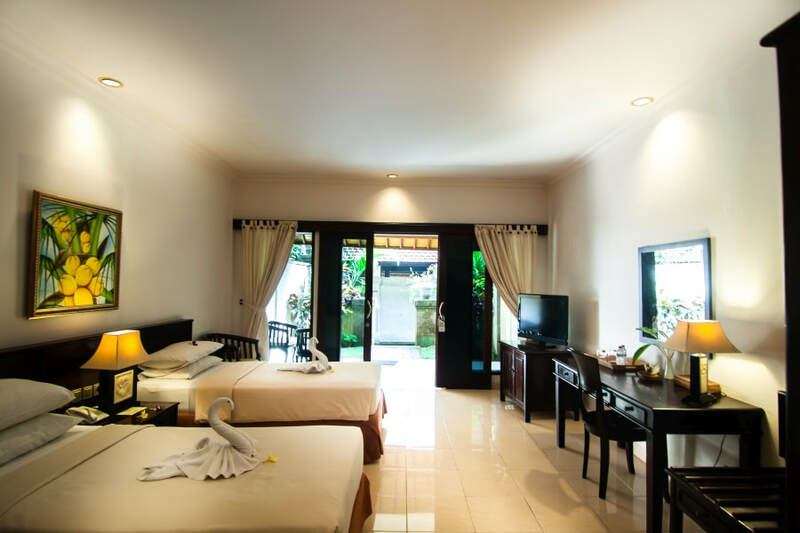 This room category is a relaxing retreat with a walled garden, private terrace and calming green views. 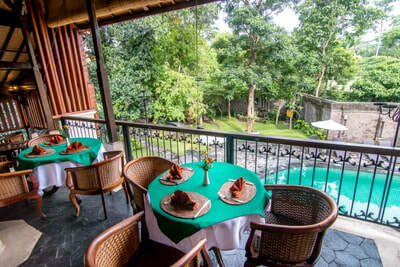 ​Wanara Restaurant is elevated for sweeping views of the nearby tropical forest. This setting recreates the elegance of a private club facility. 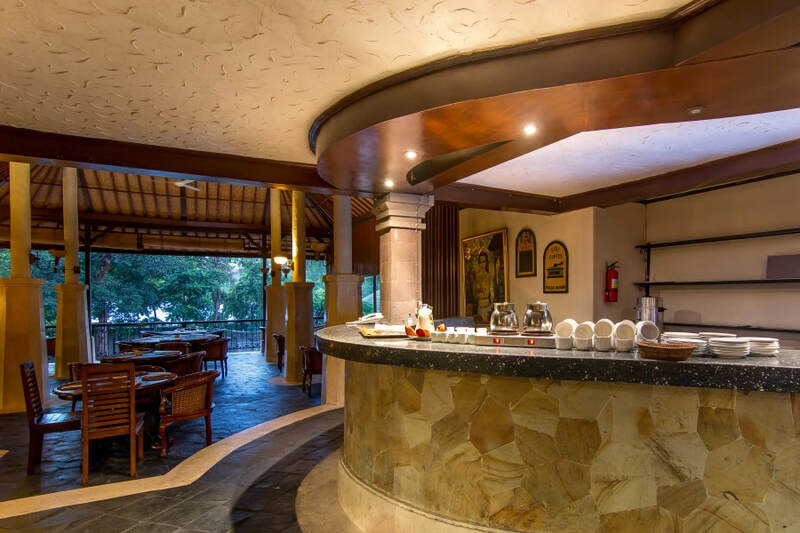 It is open for lunch and dinner serving exceptional cuisine including a signature Clay Pot menu that is perfect for events or celebrations.